Hot off the heels of The Gruffalo’s tremendous success, Tall Stories returns to the West End with a sparkling stage adaptation of the sequel children’s book, The Gruffalo’s Child. Originally an award-winning picture book by Julia Donaldson and Axel Scheffler, The Gruffalo’s Child is sure to feature plenty of songs, laughter and interactive fun for all ages! No Gruffalo should ever set foot in the deep dark wood… But one wild and windy night, the Gruffalo’s child ventures into the forest, despite her father’s warnings! Following some mysterious tracks in the snow, the brave Gruffalo’s child encounters plenty of predators that are hungry for a snack. But there’s no reason to be scared – after all, the Big Bad Mouse doesn’t really exist. Does he? Featuring a cast including Sophie Alice as Gruffalo’s Child, Catriona Mackenzie as Narrator/Mouse, Andrew Mudie as Gruffalo/Predators and Jake Addley as an Understudy, The Gruffalo’s Child is a Tall Stories production that tours the country with many different casts. Including magical puppetry, fun, engaging music and interactive story-telling, this festive treat is sure to thrill any little theatregoers. 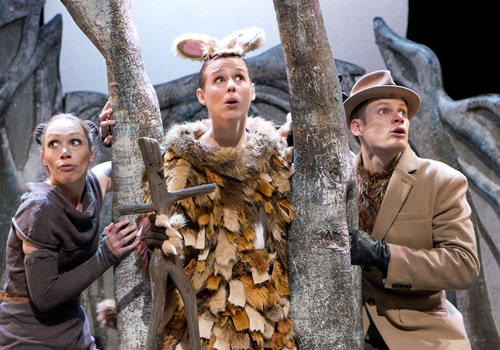 Directed by Olivia Jacobs, The Gruffalo’s Child features choreography by Morag Cross, design by Isla Shaw, lighting design by James Whiteside and music production, with original music and lyrics, by Jon Fiber and Andy Shaw, as well as puppet design by Yvonne Stone and Polly Lawrence. Opening at the Lyric Theatre London for a limited festive season, the play runs from November 22nd 2017 to January 7th 2018. 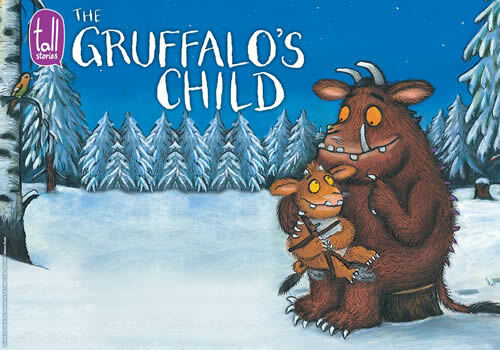 The Gruffalo’s Child is suitable for those aged 3 and up.